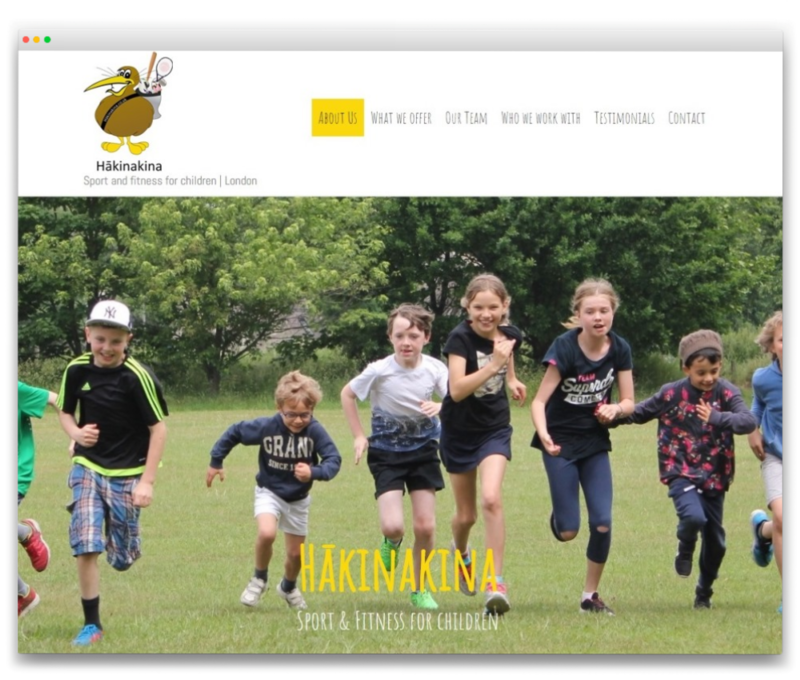 BRIEF: Former New Zealand representative football player Luke Naughton mandated The Design Web to build website for his new business Hākinakina that he was setting up to provide sport and fitness sessions for London children and schools. He wanted to use it to profile the business and activities when approaching prospective school clients, to promote children’s holiday activities to London parents. SOLUTION: We installed a responsive “Virtue” WordPress theme, customised it to achieve the required graphic design, added all the functionality required and uploaded the content provided to us. We also made suggestions and subsequently effected changes to headings and tags throughout the website to optimise it for Google listings. OUTCOME: An attractive and functional website that performs as required..